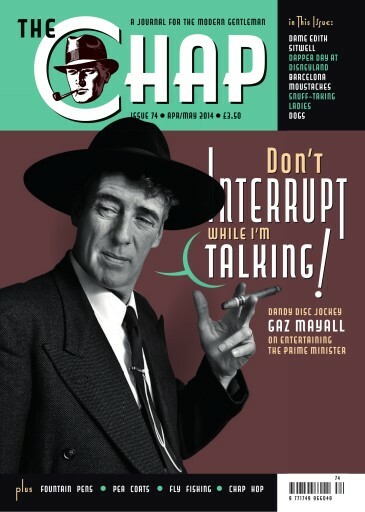 Founded in 1999, The Chap takes a satirical look at the modern world through the eyes of an old-fashioned English gentleman. 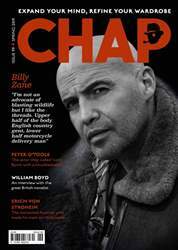 The Chap seeks to maintain decorum, standards and, above all, correct dress, and it goes about this by celebrating the great dandies and gentlemen of the past, as well as casting a critical eye over the rather disappointing dress habits of today. The principal gentlemanly pursuits are also given coverage: Gambling at the horses; Grooming (with particular emphasis on moustache cultivation); Cricket (written by Wisden regular Steve Pittard); Drinking (especially cocktails); Dressing Up (in which every sartorial detail, from waistcoats to slippers to pocket watches, is covered). 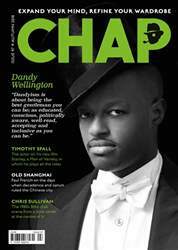 The Chap also features an in-house butler, who is on hand to answer all your queries of a socio-sartorial nature. 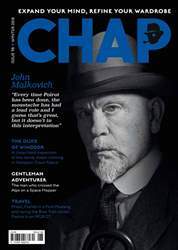 Whether you truly want to adopt the lifestyle of the dandy or the gentleman, or simply wish to keep yourself informed of the latest developments in cravat usage and pipe tobaccos, The Chap is the only British publication entirely devoted to celebrating the arts of the gentleman.